Hong Kong unicorn, Klook, has become the most searched travel activities platform worldwide since October 2018, according to Google Trends. Compared with its closest performing competitor, Klook showed more than double the brand search worldwide since November 2018. Klook’s top position on Google is demonstrative of the rapid pace at which tours and activities are coming online. There is still plenty of room for growth as tours and activities still lag behind at 15% online penetration, as compared to 61% across the rest of the travel industry. Travellers’ booking behaviour has shifted, according to Klook’s 2018 events survey, conducted in 12 key markets. It was found that 63% of travellers search things to do in a given destination, before shopping for hotels and flights. It is believed that this might position Klook as a platform for travel inspiration, before people embark on holidays. 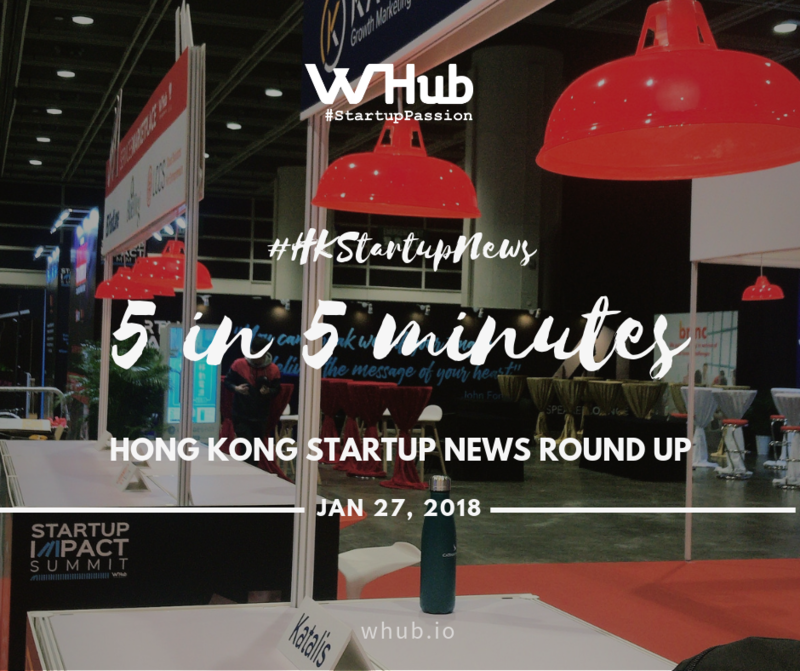 The Open Innovation Challenge, co-organized by WHub, Hong Kong’s biggest startup ecosystem builder and Explorium HK, Fung Group’s innovation Hub, took place during Startup Impact Summit, the last day of StartmeupHK Festival 2019 by InvestHK. “The hypothesis is: the better the question, the better the solution we can find,” said Richard Kelly, Chief Catalyst of Explorium HK. The challenge was to find Hong Kong’s biggest potential to becoming a “better” city. Participants submitted online what they think are the biggest missing gaps in Hong Kong’s development and the top 5 were invited to present on stage. “How do we build a community with non-judgemental conversations?” on the topic “Happiness & Resilience” was the Judges’ choice winner. “How might we create an equal environment to enhance the skills and mindsets for the future?” on “The Future of Youth Skills” was the winner of the audience’s choice. “A vibrant start-up environment plays a pivotal role in driving innovation and technology development in Hong Kong.” said Cheung Kin-chung, chief secretary for Administration of the Hong Kong Special Administrative Region (HKSAR) government. Hong Kong is ranked among the top five fastest growing start-up ecosystems and one of the world's top 25 start-up hubs. The HKSAR government is determined to transform Hong Kong into a leading global hub for innovation and entrepreneurship where start-ups can use the city as a lab, a showcase and a global launch pad, Cheung said. Cheung said to propel Hong Kong's innovation and technology development forward, in the past three years, the government has committed over $HK100 billion to boost research and development, develop innovation and technology infrastructure, nurture talent pool, provide investment funding and support measures to improve the ecosystem for start-ups. During Startup Impact Summit, gathering 100 startups and 40+ speakers from 20+ countries, the organizers WHub, Hong Kong’s largest startup ecosystem builder and power connector, seized the opportunity to create cross-border partnerships to boost diversity and to empower the local startup ecosystem. WHub has signed 4 Memorandums of Understanding (MoUs) on this “day of startup impact”, including a partnership within Asia - with IndiaTech Hong Kong, as well as with organizations representing countries in Europe and Middle East – with the Friedrich Naumann Foundation for Freedom (FNF), a German foundation for liberal politics, Nordic Innovation House, a soft-landing concept for Nordic entrepreneurs, and Kokprojekt, a Turkish business development company for the food industry. The MoUs are a testimonial of Hong Kong's startup reputation and influence globally, and also are valuable opportunities to learn from the best of different regions and cultures. Global Deeptech investor Entrepreneur First unveiled another 22 startups that it has invested in. Seven of the startups hail from Hong Kong and the rest comes from Singapore. Each venture has received at least US$55,000 in seed funding. In addition, four of the 22 startups have joined an “EF+HAX” program in which they received an additional US$125,000. Contributing to the funding is HAX, an initiative by startup accelerator SOSV to back hardware entrepreneurs.